There are often a great many western blots along the path between imagination and understanding. Now you can read them using the advanced optical technology that’s already in your lab — inside your microplate reader. The ScanLater™ Western Blot Detection System includes the ScanLater Western Blot Detection Cartridge, ScanLater Western Blot Assay Kit, and image acquisition powered by SoftMax® Pro Software. In just minutes, you can install the ScanLater Western Blot Detection Cartridge in a SpectraMax® i3x or SpectraMax® Paradigm® System to add western blot detection capability, rather than buying a dedicated western blot detection system. See more, and do more, with your microplate reader. 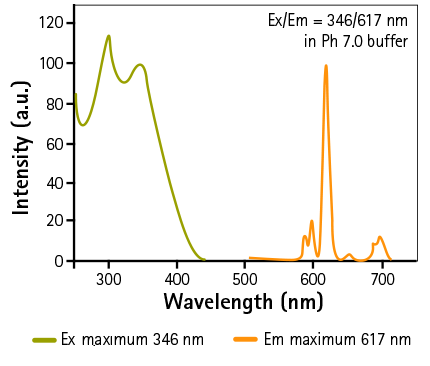 by employing a secondary antibody labeled with a europium-chelate. SpectraMax® i3 or Paradigm Multi-Mode Platforms. No substrates are needed and the blot can be scanned immediately after washing. 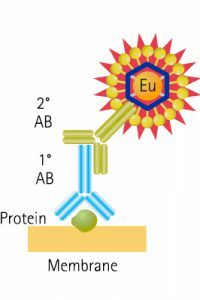 secondary antibody is directly labeled with Europium. and Eu-chelate showing principle of TRF measurement. 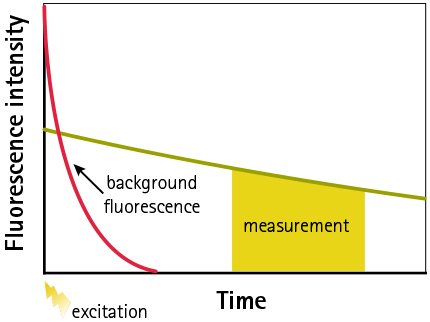 Signal is measured after appropriate time-delay to reduce auto-fluorescence. Figure 1. 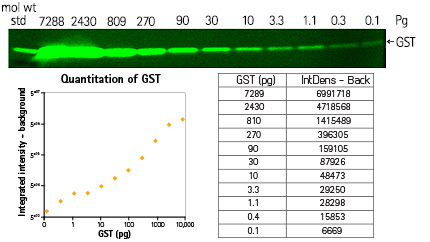 Image of Gluthathione S-transferase dilution series as scanned by the SpectraMax Paradigm Reader. Note: False-color scale is used to show large dynamic range. Integrated intensities from individual bands showing total dynamic range of greater than 3 logs. Figure 2. Detection of ubiquitinated Rad-18 in HEK 293 cells on treatment with different concentration (0, 50, 100 ppm) of carcinogen MMS, an alkylating agent. 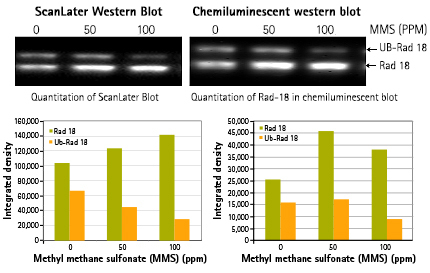 Comparable result using ScanLater Western Blot System vs. chemiluminescence western blot (Stanford University). 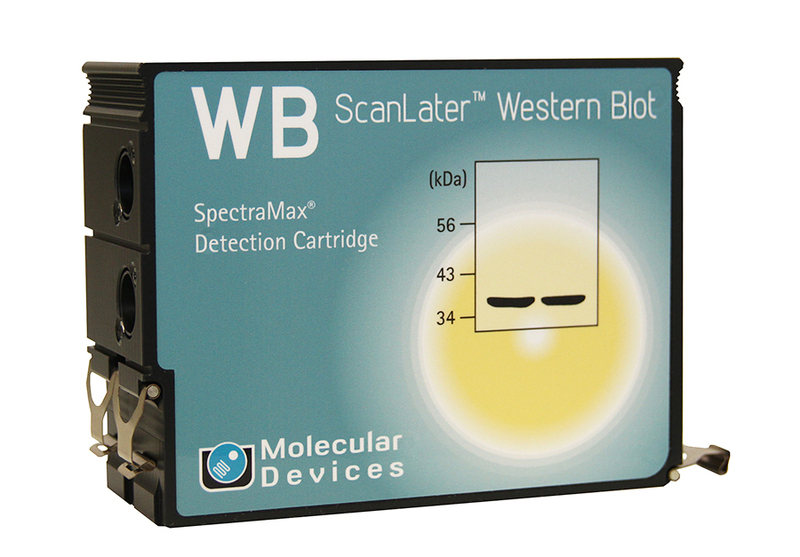 the ScanLater Western Blot Detection System.